Tova began playing the violin at age eight. Her incredible talent brought her the opportunity to be a participant in a full concert orchestra program involving predominately senior level musicians. This set the tone for Tova’s entire life, recognition of her unique abilities and talents which greatly surpass her chronological years. Tova went on to major in music performance in violin and viola and graduated with special distinction and numerous awards from the University of Oklahoma. During her seven years (1988-1994) as a professional musician, Tova was a core member of the first violin section in the Oklahoma City Philharmonic Orchestra and the Lawton Philharmonic Orchestra. As quoted by Joel Levine, OKC Philharmonic Music Director, “She was in the front ranks of the ‘first call’ players for all sorts of free-lance work. Her ability to adapt to a wide variety of musical styles made her a favorite choice of both local and national theater conductors.” These included Lyric Theatre of Oklahoma, the Santa Fe Opera Orchestra, Accademia Filharmonica, and the Texas Baroque Ensemble. She was a featured soloist many times with Go For Baroque and the Norman Chamber Orchestra. Tova maintained a large private studio of students ranging in age from five to sixty-five. She was chosen as the private instructor within the Norman Public Schools and the Baptist Fine Arts Academy. She was also honored as a special instructor for the University of Oklahoma and the Oklahoma Baptist University. These 22 years of experience in music gave Tova the ability to be in tune and harmonized on a level that greatly surpasses the limitations of language. When the performance is in progress, the only communication possible is non-verbal. This gives Tova skill and ability that are usually absent in the workplace. A crisis helped redirect Tova into her present occupation as owner and facilitator of Stress Release Technology. While playing violin professionally, Tova began to experience partial paralysis which at first she thought might be stage fright. Many of her colleagues had experienced this condition which they treated with medication. Because the medication exacerbated Tova’s condition, and caused depression Tova decided to find alternative solutions. She investigated several different methods of treatment, all to no avail. Luckily, her massage therapist introduced her to Frances Carrigan who was, at the time, teaching an education based on brain function. Tova was amazed at the instant results from her work with Fran. Not only did her paralysis disappear, but longer term conditions Tova had thought permanent began to change and permanently heal. Needless to say, Tova continued studying with Fran and eventually took a year off from work to develop further research. Out of this year came Stress Release Technology. SRT is in its fourteenth year and going strong. Tova has been an integral part of Stress Release Technology’s development. In the process of pursuing further education, Tova attended the Southeastern School of Neuromuscular and Massage Therapy and Health Builders School of Massage. She graduated with the Special Academic Achievement Award for maintaining the highest grade point and maintained National Certification in Massage Therapy for five years (1997-2001). Along with her massage therapy training, she was also trained and certified as a Colon hydro-therapist and maintained a practice for ten years. Kinesiology has played a major role in Tova’s education and development. 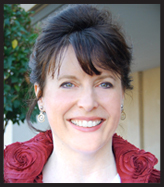 She was certified as a Kinesiologist in 1994 as a part of her education in brain function and behavioral genetics. She has been practicing these techniques in Stress Release Technology for fourteen years. Tova’s health oriented education has been enhanced by her talent and experience as a musician. As quoted by Alan Burdick, Conductor and Music Director of the Lawton Philharmonic Orchestra, “Tova possesses a strong sense of dedication and responsibility and has the knack of inspiring those around her to high levels of performance. Cooperative and easy to work with, she maintains a sharp sense of humor and optimistic attitude toward performing and working with others. Tova balances an easy-going temperament with a self-imposed discipline of her art in a way that creates a comfortable atmosphere for those around her.” Tova’s dynamic personal charisma is inspiring to all who know her and her personal recovery, like Fran’s, is at the heart of SRT’s success.